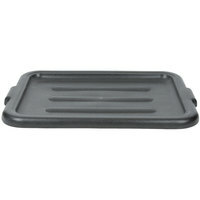 Maximize efficiency at your large or off-premise events with this 20" x 15" polyethylene plastic bus tub lid! 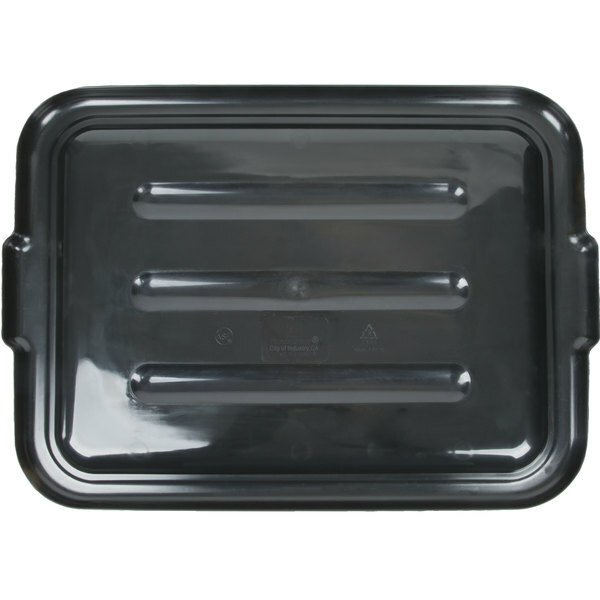 Featuring a sleek black color that won't detract from the fine furnishings at your venue, this 20" x 15" polyethylene plastic bus tub lid ensures storing and transporting dirty dishes from table to warewashing station is done in a discreet manner that's effective, too. 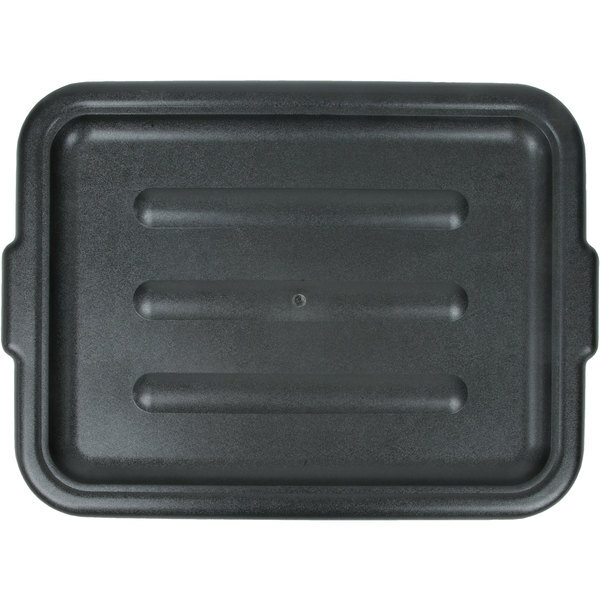 Simply cover your existing compatible bus box with this lid, stack multiple covered bus boxes, if necessary, and you're set to transport soiled dishes wherever they need to go! 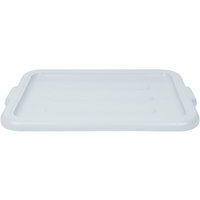 "This poly plastic tub lid is a great addition to the poly bus tubs. 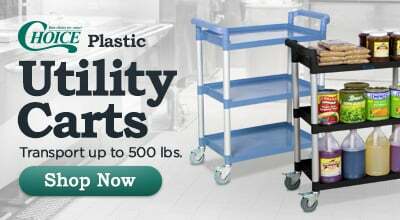 It's easy to use and fits securely on the tub. Great buy." 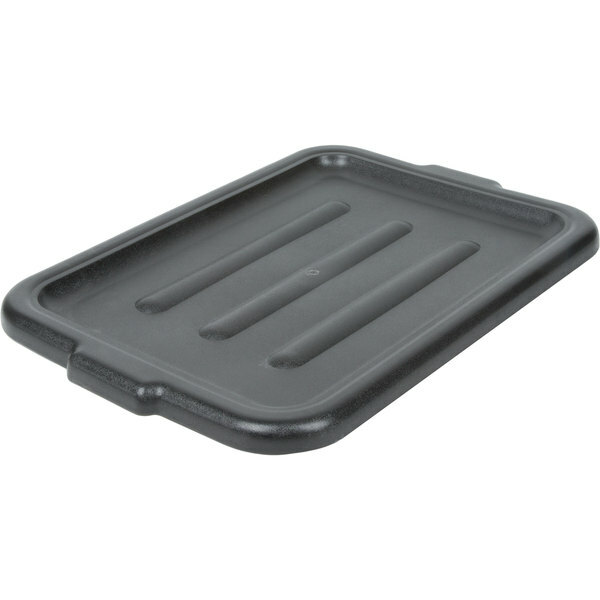 Molded-in handles, one at each end of the lid, make placement and removal of the lid on a compatible bus box, quick and easy for faster service. Made of heavy-duty polyethylene plastic, this black bus tub lid is designed to withstand everyday use and abuse in a commercial kitchen and dining setting. A contoured design allows easy box-on-box stacking for higher efficiency when bussing tables at large or off-premise events. 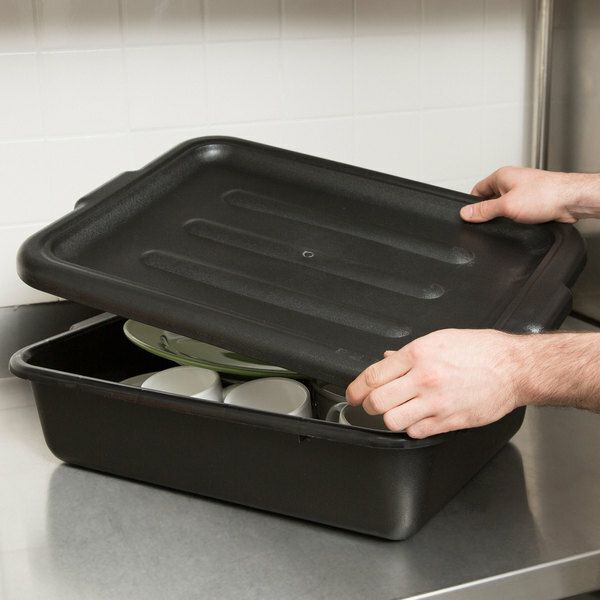 Whether transporting dishes from dining room to kitchen, or from outdoor venue to your headquarters' kitchen, this lid ensures that stacked tubs remain stacked! 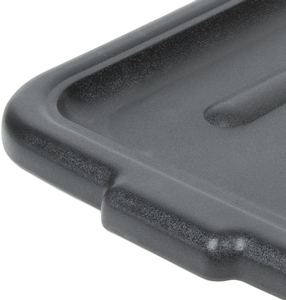 To minimize the appearance of wear and tear, this black bus box lid features a textured surface that hides scratches and other blemishes that may appear. At the same time, the rich black color provides even further camouflage against everyday wear, masking nicks, stains, and other unsightly damage.